Have you ever flat-out lost in a gaming session not because of your own skills, but because your computer slowed down? Time to say goodbye to technical issues causing losses, thanks to today’s discount software promotion, EZ Game Booster! 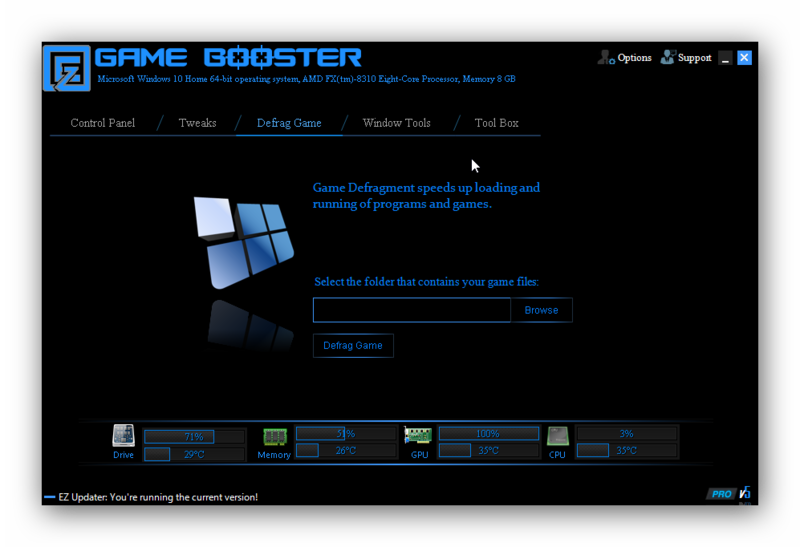 EZ Game Booster optimizes resource utilization and deactivates unnecessary processes to maximize your gaming experience. With EZ Game Booster, you’ll be able to fix stubborn errors, remove junk, speed up the Internet, and safeguard your computer’s security. What do you get with EZ Game Booster? How about a Deep Registry Scan, Registry Repair, Network Repair, System Repair, and integrated Windows tools? You can even choose to suspend all unnecessary processes at once, or one at a time. The numbers don’t lie - EZ Game Booster will speed up your Internet by up to 300% and make your PC boot up to 200% faster! After you purchase EZ Game Booster it may be used indefinitely. 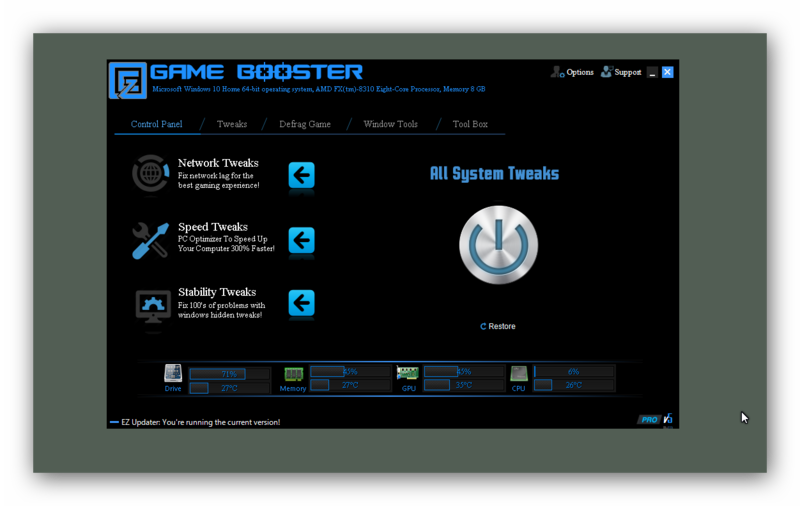 EZ Game Booster is licensed for family use, so everyone in a household can use the software. 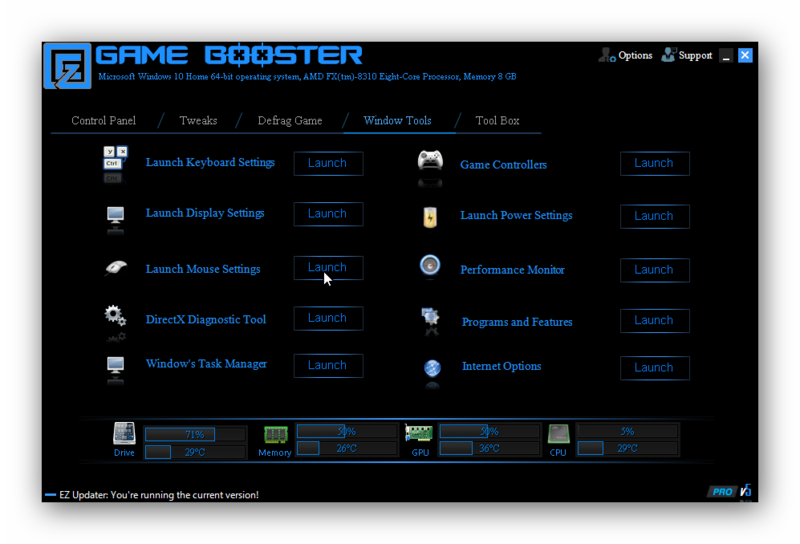 Each license allows installation on all owned computers, and EZ Game Booster may be used at exactly the same time on each of them. Keep Your Device Drivers Updated!